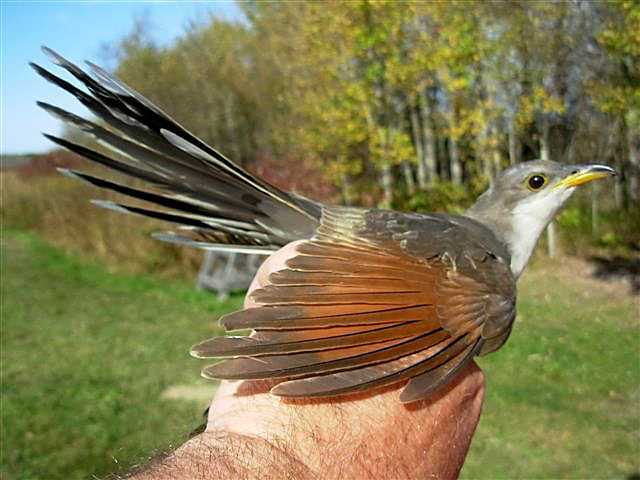 Description: Yellow-billed Cuckoo immediately after being banded. October 5, 2007, one banded at Hilliardton Marsh, photographed by Bruce Murphy. May 18, 2009 One observed by Gert Trudel flying across Hwy. 560 between Elk Lake and Gowganda.